So I finished a novel back in August that I’d been writing for a year and a half between other projects. I thought it was probably the best thing I’d written, the closest I’d ever come to fully realizing the initial idea. My writer friends who I swap manuscripts with agreed. Even my lovely wife, who can’t deal with my SERIAL stuff, loved it. My agent loved it, and we went through several edits and took it out in October to a number of publishing houses. Around December, Joe started making a point of telling me this every time we talked on the phone, emailed, or Skyped. I thought maybe he was right. I had a great December selling ebooks. January came close to doubling that. Now, every time Joe said this, it was like a gut punch. Because I knew he was right. I knew the potential monthly income I was turning my back on, the new readers I was missing out on. We’re in the Wild West of ebooks, and my best work was on the sidelines. We hadn’t had any offers on RUN, but had gotten very close with a couple of dream editors. It’s always been a tough market, but with Borders going under and the ebook-induced turmoil, it’s harder now than ever. 1. It’s my best book. A lot of my work has a horror bent, and this certainly does, but it’s far and away the most commercial thing I’ve written. It has the most potential to earn me new fans, and now I have a substantial backlist for them to dive into if they dig it. 2. As I’ve blogged about here before, I need more novels. My novels far outsell my short story collections, single stories, and novellas. This was an opportunity to add a fourth novel to my catalog. 3. For the first time in my writing career, I can support myself solely through writing. Releasing RUN has the potential to launch me to the next level, and the window for doing that is open and here. 4. Numerous ebooks, already released, have been picked up after the fact by publishers. See Michael J. Sullivan, H.P. Mallory, the Encore crowd, etc. If numbers are strong, it can help an agent make an argument for the sale and negotiate a better advance. 5. Ebook royalty rate: 25%. This royalty rate is so completely biased in favor of publishers, it’s not even funny. The ebook rights to my catalog are far and away the most valuable thing I own. To give a publisher the exclusive license to my e-rights when I have no control over pricing, and in light of that 25% royalty rate, is a terrifying proposition. This all adds up to my suspicion that, even if an offer were to come, I would have a very difficult time parting with those rights if the offer wasn’t stellar and life-changing money. 6. No one knows yet what the selling trajectory of an ebook is, although we do know that it doesn’t follow the traditional arc of sliding into coop and needing to sell huge in those first 6 weeks to stay alive. Konrath is a prime example. All of his titles have been his greatest sellers at different points in time, and at different price points. But if a book is never available, you can never find that sweet spot where it works for you. Your old books sell your new books, and vice-versa, and the more books you have available, the more you will sell, and the more you sell, the more you sell. Joe sez: Not only is RUN the best novel Blake has written, it's the best thriller I've ever read. That's not an exaggeration. RUN is powerful, moving, frightening, exhilarating, and the end will reduce you to tears. I considered it my duty, as a friend of Blake's, to nag him to self-publish RUN, but he wanted a big traditional publishing deal. And guess what? I understood his thinking. RUN should have gotten a big traditional publishing deal. Blake should have been offered six-figures for RUN, months ago. 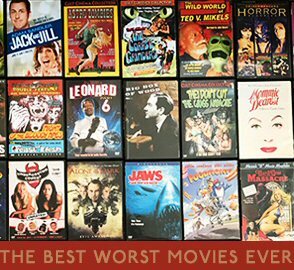 It has "blockbuster" written all over it. But the current publishing climate is awful. Publishers aren't buying as much, and they aren't paying as much. And every day Blake waited, the legacy publishing climate got worse, the self-publishing climate got better, and he missed out on making money. Let's be conservative and say RUN sells 20 copies a day. If he'd self-pubbed it nine months ago, like I told him to, He'd have $10k in his pocket right now. Ouch. Double-ouch because 20 a day is a low estimate. I sell 90 copies a day of Endurance, and it isn't even my best selling ebook. If I'd waited nine months to publish Endurance, I'd have missed out on about $49,000. That's what I mean by, "Ebooks will earn money forever, but you should start forever right now, not tomorrow." 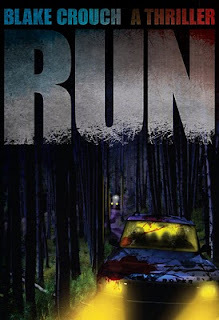 It could be that RUN does really well as an ebook, which might spark some publisher interest. But if it is doing that well, Blake would be foolish to sell the rights. A 25% ebook royalty is really 14.9% after everyone takes their share. If ebooks are the future, why would any author choose 14.9% over 70%? I encourage all of my blog readers to pick up RUN. It's terrific. I also encourage all of my blog readers with a book on submission to rethink their priorities. I know you want a big book deal. I felt the same way, not so long ago. But that was before I was selling 800 ebooks a day. Right now I'm earning $1 a minute, 24 hours a day, 7 days a week. Big book deal? No thanks. Blake sez: It’s so annoying when Joe’s right. If you’ve benefited from any of my posts here, I would humbly ask that you check out RUN, available for $2.99 on Amazon, Barnes & Noble, and Smashwords.